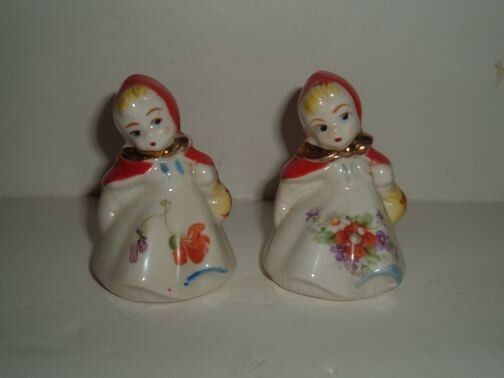 Little Red Riding Hood Salt and Pepper Shakers (small) by Hull. Manufacture date unknown. The Salt and Pepper Shakers are (Small Size) Marked: Pat Design 135889. From a private collection these salt and pepper shakers are in excellent condition.